With a strong ability to execute business endeavors and generate a substantial profit, John Yanni Alphas has become a successful entrepreneur and leader in food distribution. His innovative ideas and dedication to his customers are what continues to make his business thrive. The Alphas Produce Company, located in Chelsea, Massachusetts, was founded by John Alphas in 1999. Recognizing the unique needs of his client base, John Alphas began importing produce from their native countries including southern and eastern Asia. The family-run business operates as a distributor and wholesaler and John takes pride in his ability to offer a wide selection of exotic fruits and vegetables. Having begun his career unloading freight cars and making deliveries, John Yanni Alphas has climbed his way to success through hard work and dedication. Have you noticed a change in public perception over the past few years when it comes to veganism? The global rise in plant-based eating has made a substantial impact on our current perception of food. The vegetarian and vegan lifestyle has obtained a significant following in the last five years due to trends in ethical eating. Likewise, an awareness of the impact of meat consumption has convinced many to explore meat alternatives. According to experts, the plant-based diet is moving away from an experimental trend, to a standard way of life. What do you believe is the main cause for the growing trend of non-meat eaters? Social media has played a significant role in altering public perception and educating individuals on how animal products are obtained. For many, this knowledge is enough for individuals to shift their diet to plant-based products. Supermarkets and restaurants are now catering to veganism and suggesting viable alternatives to traditional meat dishes. 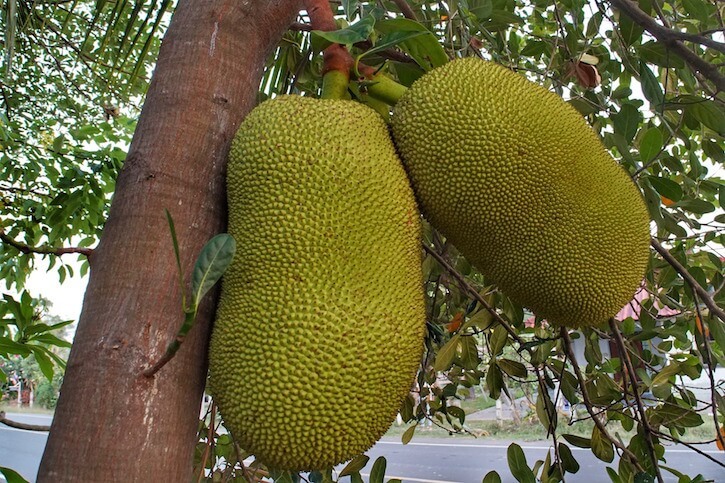 Jackfruit has become a popular meat replacement option due to its texture and versatility. The plant-based diet also offers a multitude of nutritional benefits, and as a result, more fruits and vegetables are being incorporated into everyday meals. What are some antioxidant-rich fruits and vegetables that you recommend? Many individuals are under the impression that they need to be consuming large portions of produce to obtain essential nutrients. Antioxidants are compounds naturally occurring in fruits and vegetables and prohibit the oxidation of other molecules in the body, ultimately protecting against cell damage. There are certain superfoods which offer a significant supply of antioxidants per serving. Cranberries, Blackberries, elderberries, artichokes, and goji berries are all rich in antioxidants and can be easily incorporated into an individual’s diet. Is it true that the risk of certain diseases can be reduced by simply eating differently? It is common knowledge that fruits and vegetables offer a wide range of nutritional benefits, yet many individuals are unaware that they have various disease-fighting properties. Fruits and vegetables are rich in vitamins, minerals, and phytochemicals which protect the body from developing various types of cancer. However, a large percentage of individuals do not know how to prepare fruits and vegetables to maximize their benefits. The preparation method of certain vegetables is essential as some processes will destroy any disease-fighting agents. Do you have any advice for people who want to start eating healthier? The Alphas Produce Company specializes in the distribution of exotic fruits and vegetables, and due to this, I have seen a variety of foods unique to the United States. Many of these fruits and vegetables can bring new life to a meal, so trying new flavors and textures may be a productive way to remain motivated. How does your business achieve growth? The Alphas Produce Company values customer service and goes above and beyond standard requirements to fit a client’s unique needs. We work with each client directly and provide an extensive range of products that are of the highest quality and available all year round. Similarly, we are continually looking to expand our distribution channels and provide our services to a wide array of businesses, from small restaurants to well-known supermarket chains. Ultimately, I am always searching for ways to modify and improve the business and satisfy the requirements of our devoted customers. What is a place that you wish you could expand or move your business to? Despite working predominantly out of Chelsea, Massachusetts, our business became one of the first companies to be able to import out of Vietnam. The Alphas Produce Company and I are in the process of cultivating dragon fruit in Vietnam. We welcome the opportunity for expansion and work diligently to provide customers with fruits and vegetables which are not native to the United States.